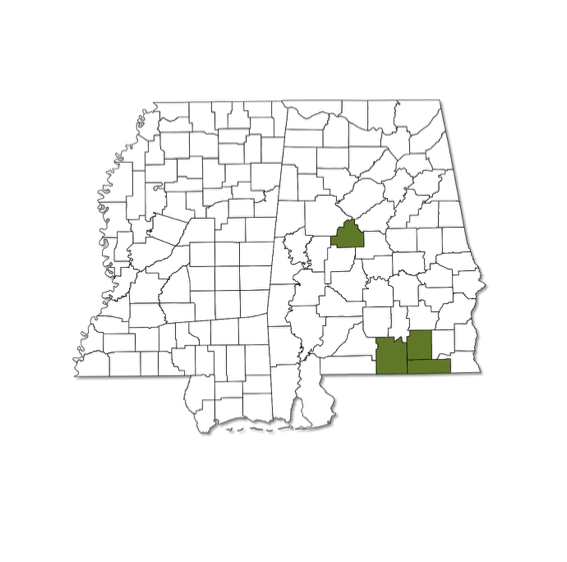 Stylurus ivae has never been found in Mississippi and is quite rare in Alabama, occurring in a few counties south of the Fall Line. 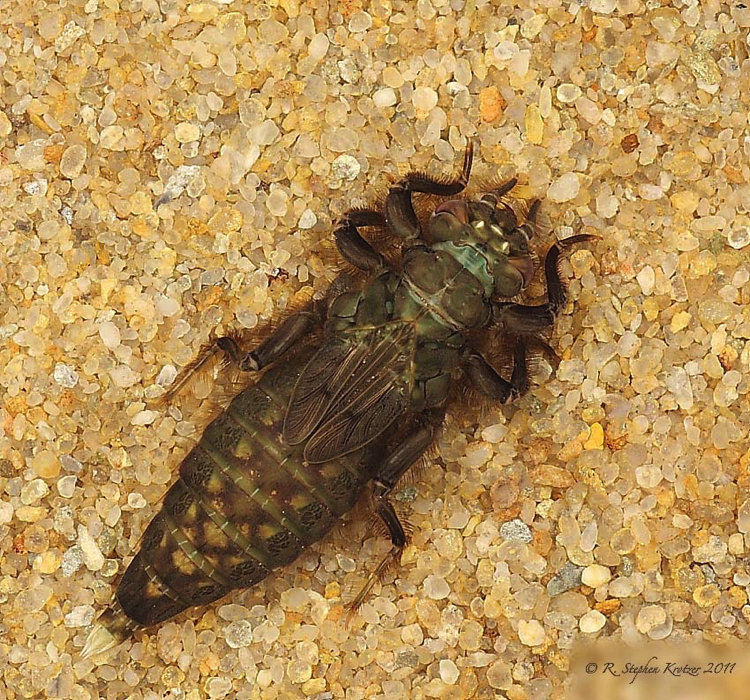 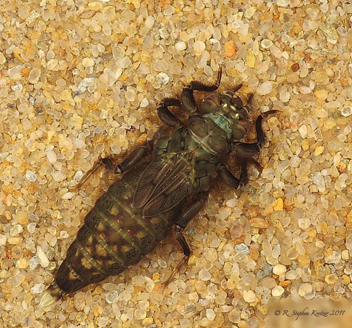 The normal breeding habitat is small, slow-flowing sandy streams in forest, although I have seen adults flying with S. plagiatus on the Yellow River, which is a fairly large river. 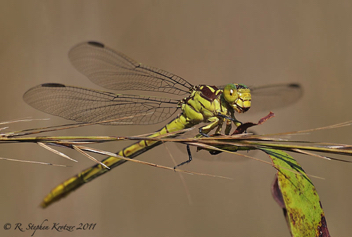 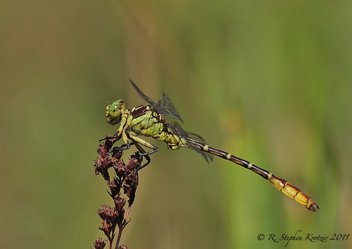 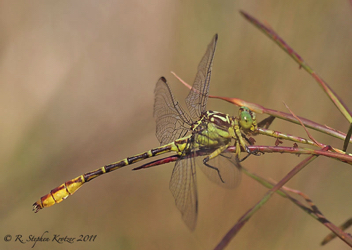 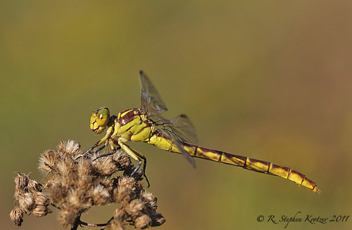 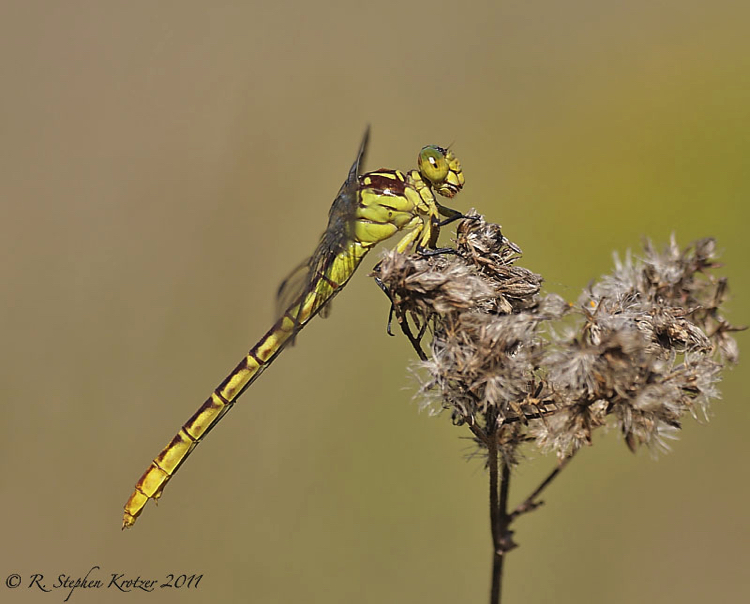 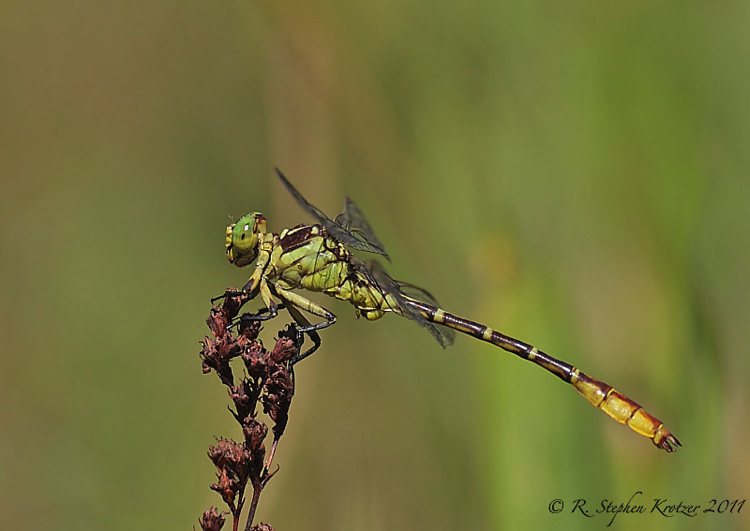 This showy species has a late flight season and can be seen on the wing well into October.